Verizon Declares Its LTE Network 'Substantially Complete' - Now What? 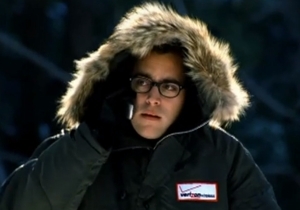 Verizon starts LTE service in Alaska this July. Verizon announced Thursday that its high-speed 4G LTE data network is all but complete, now covering 95 percent of the U.S. population, or 298 million people. And next month, the company will expand into Alaska, finally making LTE available in all 50 U.S. states. What does this news mean for you? On the most obvious level, it means the data service on Verizon phones will be, no matter where you are, faster than the data service you get on your home computer. It also means that if you live in a remote part of the country, you’ll probably be better off with Verizon service over the competition – at least until other carriers catch up later this year. According to Forbes, AT&T expects to expand its LTE network to include 250 million Americans by the end of 2013, up from 170 million in April. Verizon also will be able to start focusing on its next-generation services. Verizon has already committed to doubling the speed of its LTE network by introducing Phase 2 LTE later this fall. Starting in 2014, the company will begin routing cellphone calls over LTE (VoLTE), allowing it to start offering services like high-definition voice calling. By late 2014, all cellphones offers for sale through Verizon will work exclusively using 4G LTE, allowing handsets to omit bulky microchips it’d otherwise need to use older networks. In coming years, expect the company to phase out its slower 3G network, making more bandwidth available for LTE customers. Ultimately, VoLTE could become the national standard, allowing the antiquated analog circuit switching telephone network to finally be retired.